Donald (Don) J. Cortichiato was elected to the Indian Wells Valley Water District Board of Directors in 2004. He is serving as President in 2019. He previously served as President in 2008, 2012, and 2016 and Vice-President in 2007. Mr. Cortichiato currently serves on the Administration/Executive Committee. Mr. Cortichiato graduated with a bachelor of science degree in business economics from the University of California, Riverside. 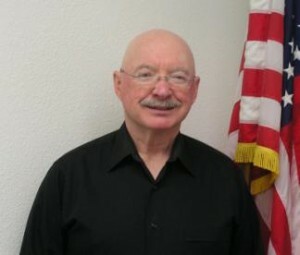 He retired from federal civil service in 2004 after 33 years at the Naval Weapons Center, China Lake. He had a variety of specialist, supervisory and managerial experience in both the Human Resources Department and the Safety and Security Department. 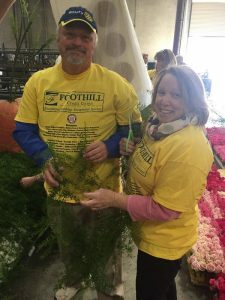 After retiring, Mr. Cortichiato volunteered with the local NARFE (National Active and Retired Federal Employees) chapter, raised funds for the Ridgecrest Habitat for Humanity, volunteered with the local American Cancer Society Relay for Life, and was employed for three years with State Farm as a licensed insurance and financial services representative. He is a member of the Board of Directors of AltaOne Federal Credit Union. 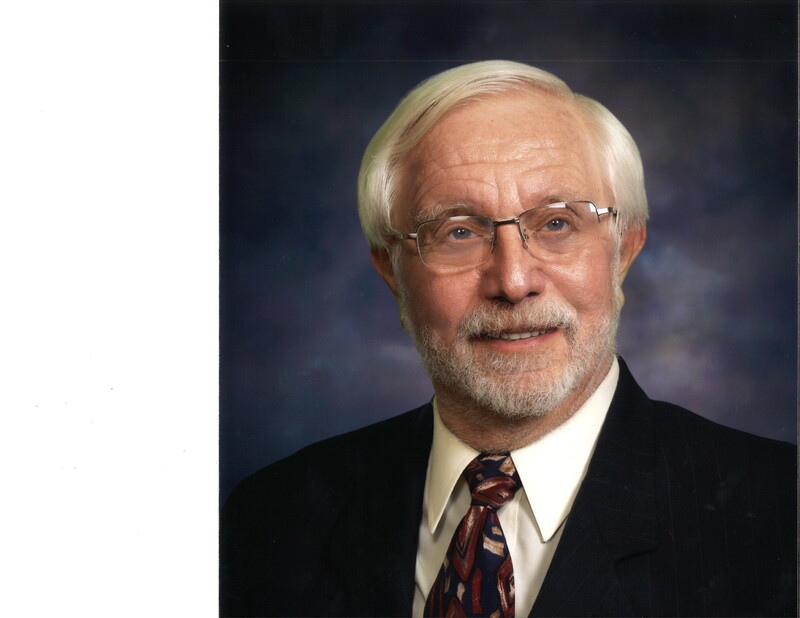 Since being elected to the Board of Directors in 2004, he has worked with the IWV Cooperative Water Management Group and has served on all sub-committees of the Water District: Administrative/Executive, Finance, Water Management, Plant & Equipment, and Alternate Water Supply. Mr. Cortichiato has represented the Water District in the Association of California Water Agencies (ACWA) both as an elected Board Member of Region 7 and as a member of the ACWA statewide Insurance and Personnel Committee. He is currently a member representing the Indian Wells Valley Water District on the Board of Directors of ACWA/JPIA. Mr. Cortichiato is married to Erma and they have five daughters. He is an avid bicyclist and recently enjoyed the 450-mile RAGBRAI across the state of Iowa. Ronald (Ron) R. Kicinski was elected to the Indian Wells Valley Water District Board of Directors in 2016. He previously served as President in 2018. He is on the Finance and Water Management Committees, and Representative for Indian Wells Valley Groundwater Authority (IWVGA). 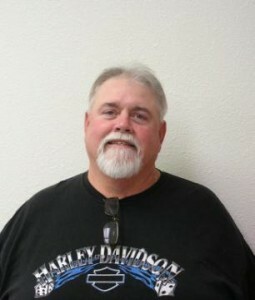 A native of Indiana, Ron acquired a Bachelors of Science degree in Mechanical Engineering from Rose-Hulman Institute of Technology in Terre Haute, Indiana; and holds Professional Engineering License in California. Prior to moving to Ridgecrest, he had over twelve years in project engineering and management with several major petroleum companies. During that time Ron worked on the design and implementation of water production and filtration systems for large offshore drilling and production platforms in the United States and overseas. 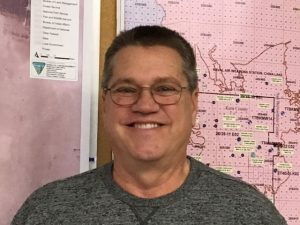 Ron moved to Ridgecrest with his wife, Sharon, in 1987 and worked in Trona from 1987 through 1996 as an engineer and maintenance department manager. In 1997, Ron assumed management of TOSS, Inc., a temporary staffing firm owned with his wife Sharon. In 1998, Ron began a new division of TOSS, TOSS Industrial Services. In June 1998, TOSS Industrial Services received its Private Patrol Operator (PPO) license from the State of California, Bureau of Security and Investigative Services. Ron is the Qualified Manager on record for the PPO license. In 2001, he and his wife acquired the local ServiceMaster franchise. During his time in the Indian Wells Valley, he has been active in numerous volunteer and charitable organizations, including serving two terms as President of the Ridgecrest Chamber of Commerce, Business Development Chair for IWV 2000 Community and Economic Development Corporation, President of the Senior Services of IWV, Member of the Ridgecrest Advisory Committee of National Health Services (Ridgecrest Community Health Center) and six years as the President of the Board of Directors for the California 53rd District Agricultural Association Desert Empire Fair. Ron is a 33-year resident of the Indian Wells Valley. He and his wife have two rescue dogs that accompany them daily to the office. He is an avid reader, especially history and biographies of world leaders. Ron carries on the family tradition of being a fan of Chicago sports teams, the Bears, the Bulls and the Cubs. Charles (Chuck) F. Cordell was elected to the Indian Wells Valley Water District Board of Directors in 2012. He is serving as Vice-President in 2019 and previously in 2017. He currently serves on the Administration/Executive Committee. David Saint-Amand was elected to the Indian Wells Valley Water District Board of Directors in November 2018. He currently serves on the Plant and Equipment and Water Management Committees, and is the Alternate Representative for the IWVGA. David is a life-long resident of the Indian Wells Valley and is a graduate of Burroughs High School (Class of 1980). He holds a B.A. in Geology from the University of California at Santa Barbara. He is married to Cheryl Saint-Amand. After college, David worked as a Geologic Consultant with his father, the late Dr. Pierre Saint-Amand. He then worked for Department of Defense contractors, ultimately as the DCS Corporation Section Manager. David joined the Civil Service in 2009 as a Program Management Consultant. David is a member and a past president of the Rotary Club of China Lake, and a past member of the local Footprinters Chapter 60. David was also a volunteer field trip leader for the Bureau of Land Management’s Bakersfield Office from 1996 to 1998. Stan Rajtora was elected to the Indian Wells Valley Water District Board of Directors in November 2018. He currently serves on the Finance and Plant and Equipment Committees. Stan came to the Indian Wells Valley in 1972 after receiving BS, MS, and PhD degrees in aerospace engineering. He was born and raised in Iowa on a small farm outside Cedar Rapids, Iowa. He has been a resident of the Indian Wells Valley for the last forty-six years. He has lived on the base, in the City of Ridgecrest, and now lives in the County. Prior to working at China Lake as a Navy engineer prior work experience included farm worker, car wash employee, summer railroad employee, wind tunnel laboratory assistant, and a co-op student working for NASA at Edwards Air Force Base. He taught a variety of engineering classes while working on his PhD. Stan retired from the Navy civil service after 36 years as a senior engineering analyst. He worked on multiple aircraft projects and missile projects, as well as technology development projects. Since retirement he has spent significant time attending Water District and City meetings advocating transparency, accountability, and fiscal integrity. Stan ran for Water District Board membership advocating transparency, accountability, and fiscal integrity. He believes government should be both transparent and responsive to the needs of the people. He also believes government works best when the public is engaged.